This program investigate the functions and mechanisms of major systems of the human body and studies the effects and mode of action of drugs which modify major body systems. You will learn the functions and mechanisms of major systems in the human body, and how these functions are modified by chemical actions. You will study the properties of chemical compounds in relation to their interactions with living organisms and examine the basis for the discovery and study of drug actions either as therapeutic agents or as tools in physiological research. This course begins with an introduction to the physiology of the muscle types powering the respiratory pump, the heart and controlling the distribution of blood, before moving to a study of the physiology of the respiratory, cardiovascular and renal systems. Advances in cardio-respiratory physiology and pharmacology will be discussed. Students will analyze and present current research literature. Examples of disorders such as tissue hypoxia or hypertension will be used to illustrate alterations in neural regulation, signal transduction pathways and to identify current and future therapeutic interventions. This program provides the strongest foundation for those considering applying to Medicine, Dentistry, Physical Therapy, Veterinary Medicine, Pharmacy and Nutrition, Nursing, Chiropractic, Occupational Therapy, Optometry, Speech Language Pathology and other health care-related professional programs. 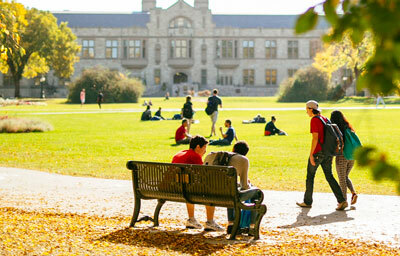 The Physiology and Pharmacology Program is unique in Western North America; there is only one other similar program offered in Canada. You will receive a comprehensive education of both physiology and pharmacology along with hands-on experience in experimental techniques.